Geese Guys, LLC provides a Humane Canada Goose Solution. 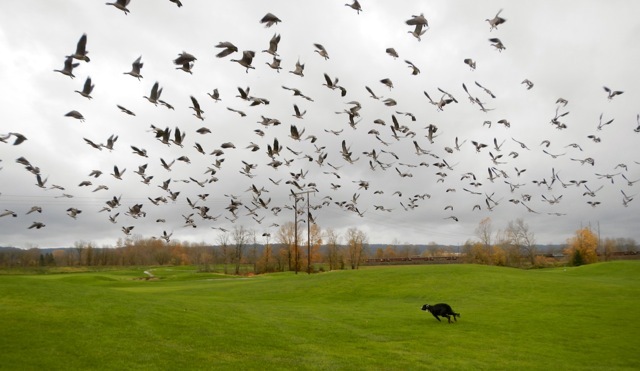 We use science-based methods to decrease conflict between Canada geese and humans. We have 30+ years of combined experience humanely managing wildlife populations, maintaining excellent client relations and educating the public on wildlife concerns. Cleaner grounds and improved water quality. Lusher landscapes and decreased erosion. Lower costs associated with grounds maintenance. No more aggressive territorial geese. Increased biodiversity of native birds, waterfowl and mammals.